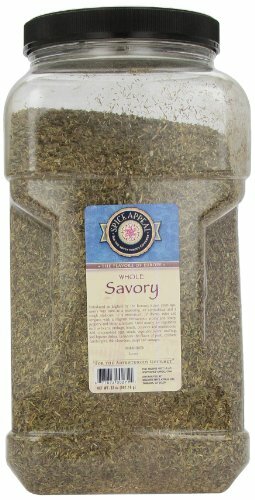 Introduced to England by the Romans 2,000 years ago, savory was used as a seasoning, an aphrodisiac and a cough medicine. It is reminiscent of thyme, mint and oregano with a fragrant herbaceous aroma and sharp, peppery and bitter aftertaste. Used mostly for vegetables such as beans, cabbage, lentils, potatoes and mushrooms. Add to scrambled eggs, salads, vegetable juices, stuffings and legume dishes. Enhances the flavor of pork, chicken, hamburgers, fish chowders, soups and sausages.